Compatible armrests and soap trays available separately for purchase. Slips and falls in the shower can be a real concern for people who have trouble standing or walking. Take these concerns out of your bathing experience with the safe and comfortable Shower Chair with Folding Back from Drive Medical. 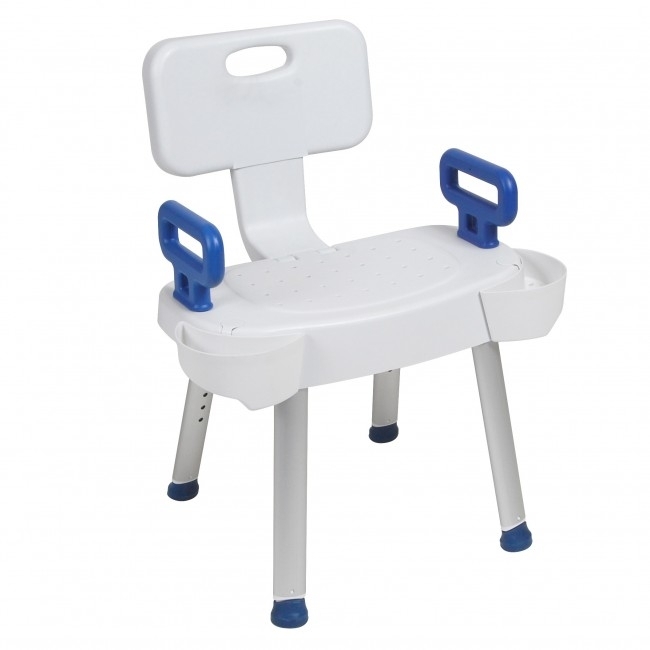 The Shower Chair provides a stable place for you to sit while showering. 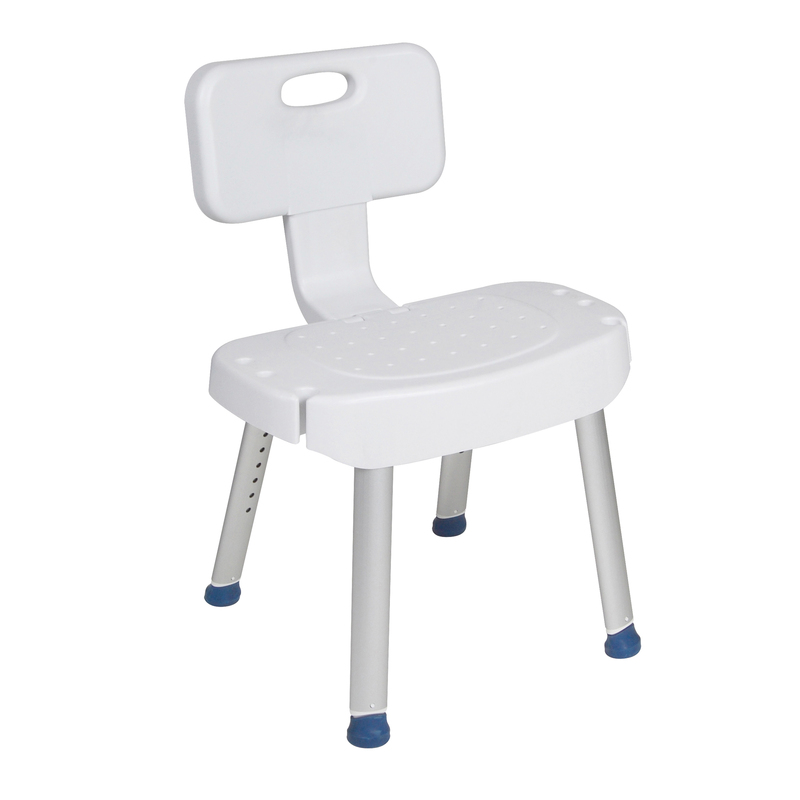 It's lightweight, can be assembled without tools and has height adjustable legs with non-slip feet, making it a simple and safe solution. In addition, the Shower Chair includes a comfortable folding backrest that makes the unit even more compact and transportable. 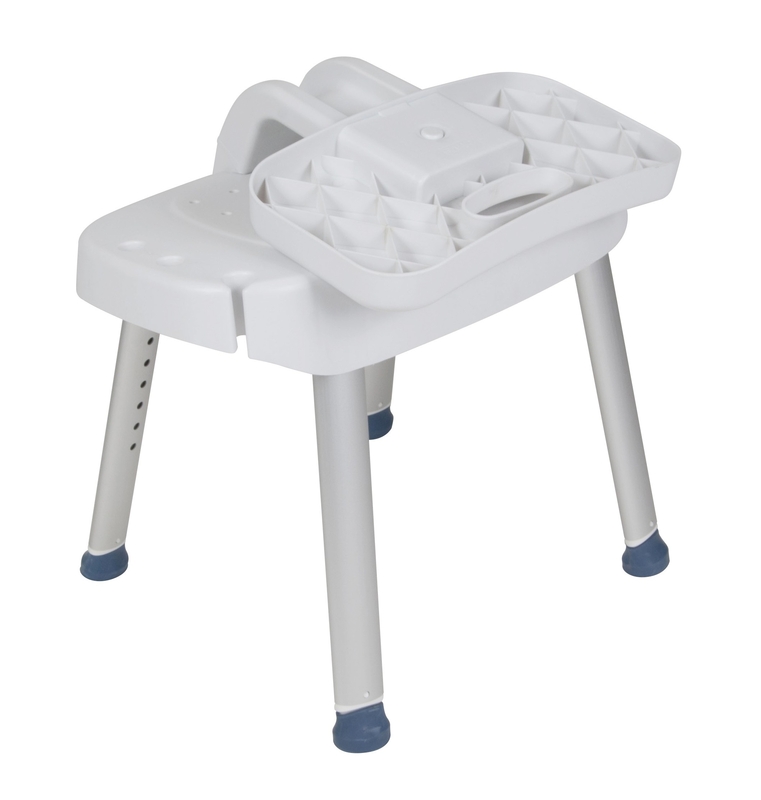 The chair can also be accessorized with compatible arms and soap trays for even more functionality.